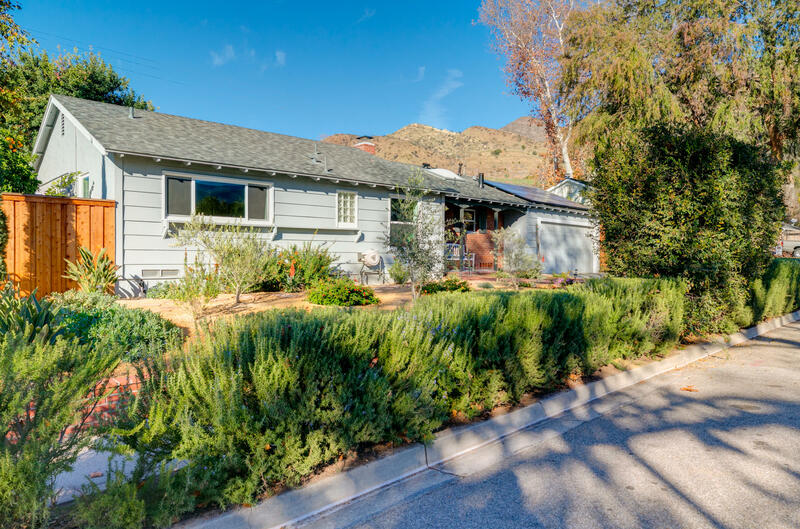 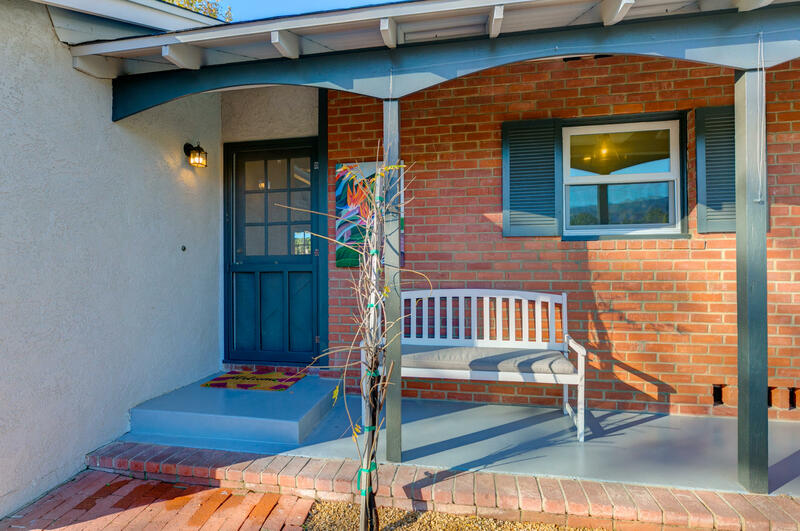 This Country Cottage tucked away against the foothills blends old charm with modern amenities to make Valley living easier! 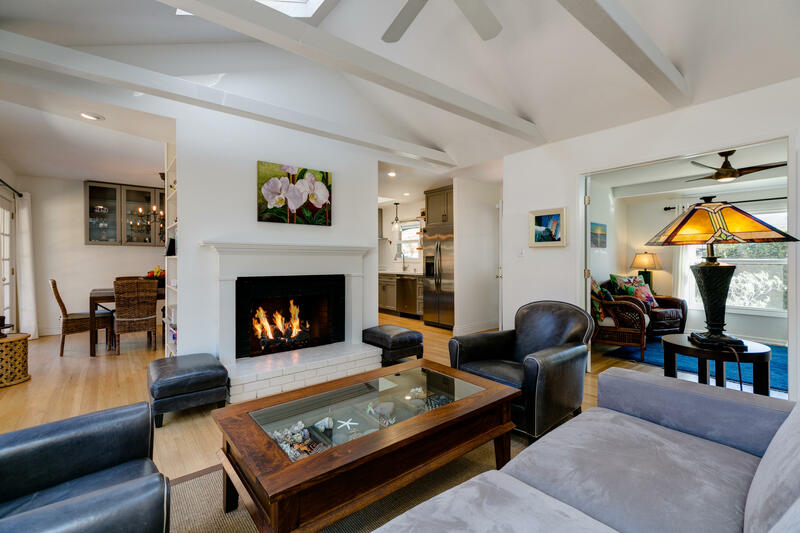 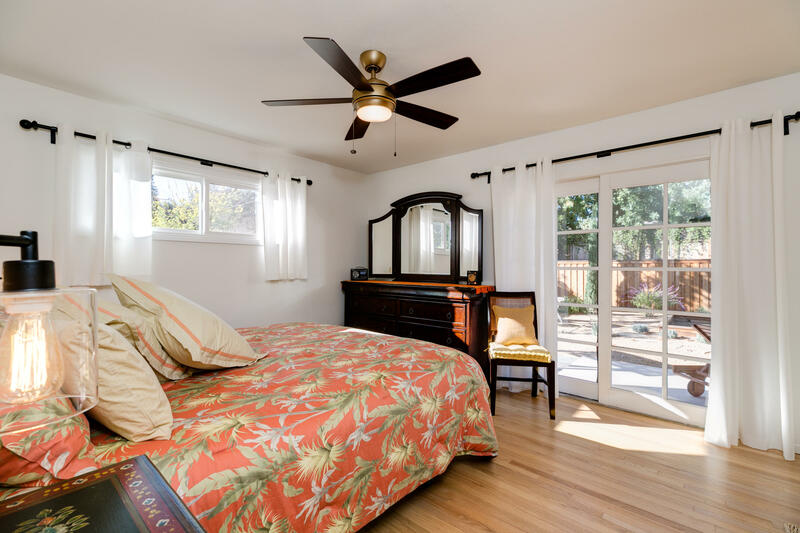 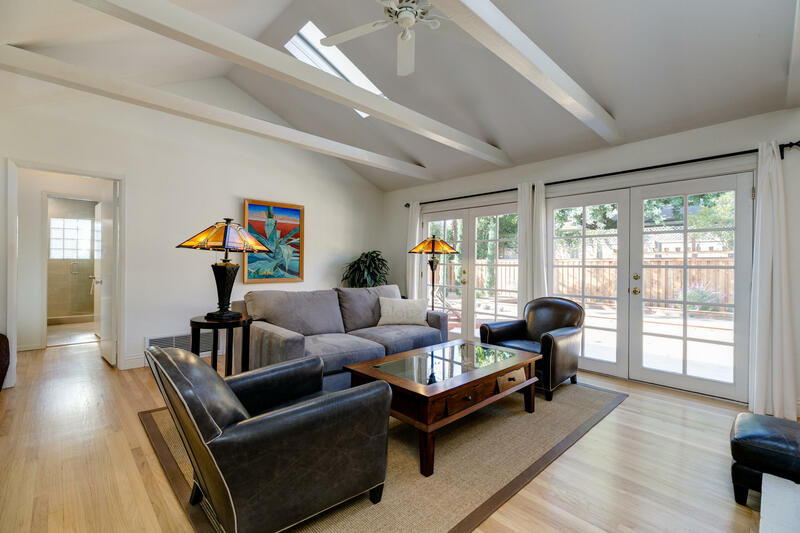 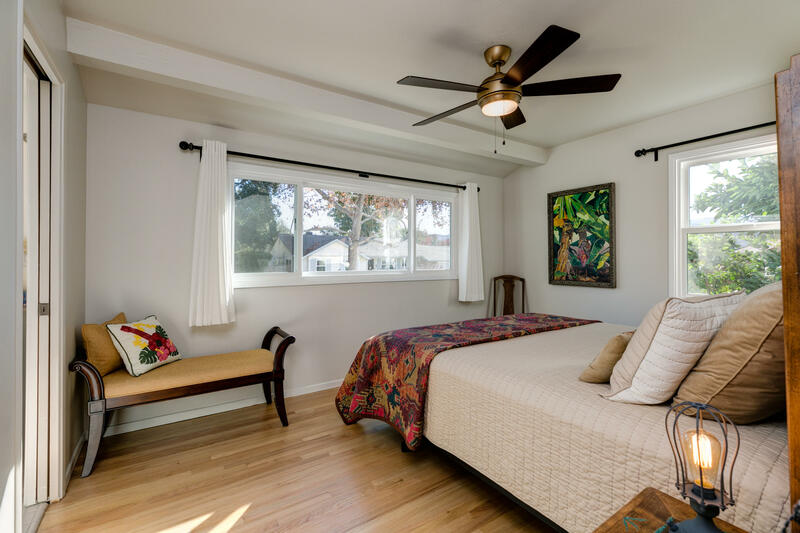 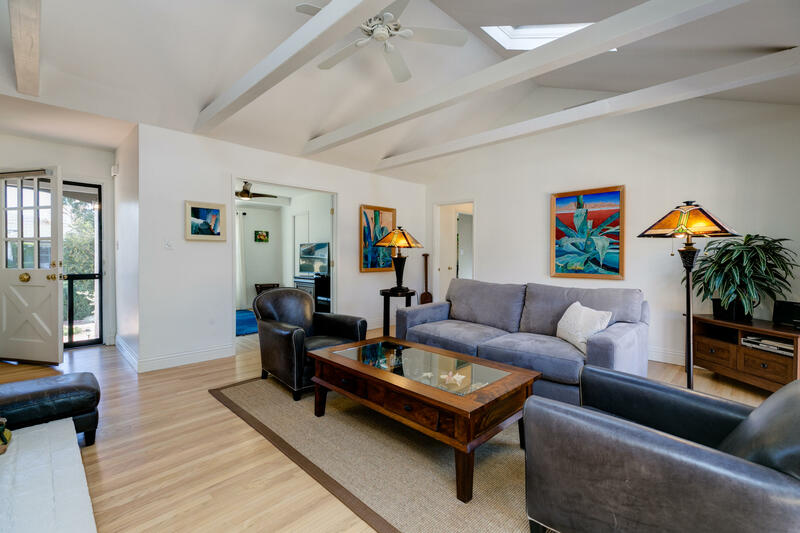 The bright living room is lined with French doors that open to the peaceful rear yard and covered patio. 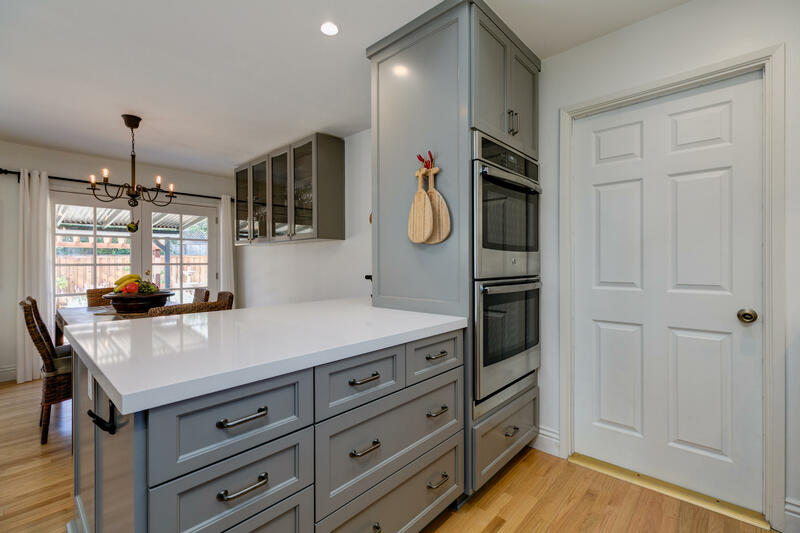 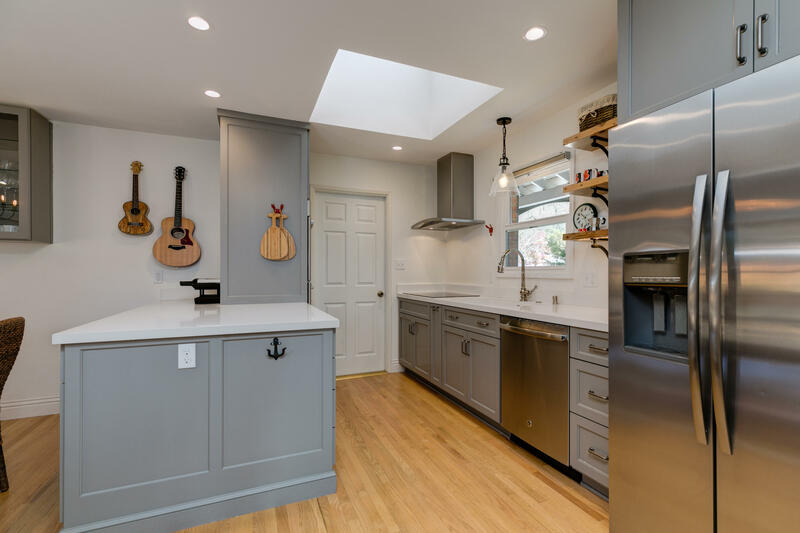 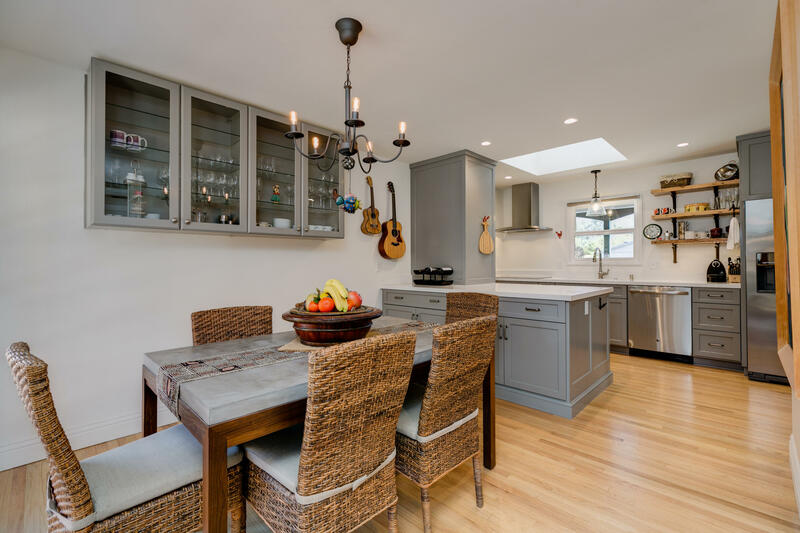 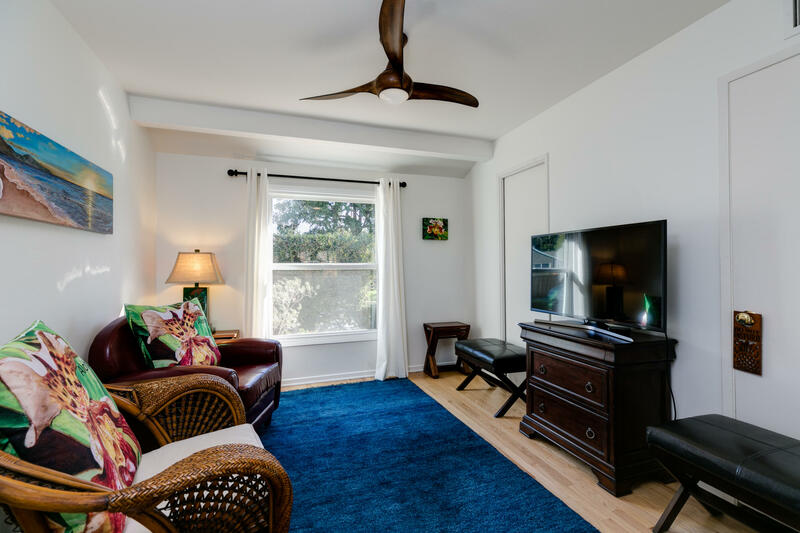 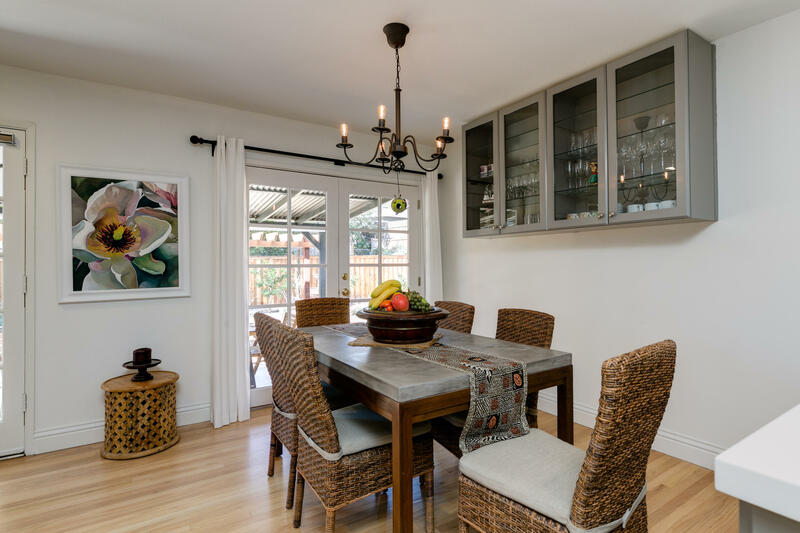 The fully remodeled kitchen offers an electric cooktop, newer light fixtures, custom cabinetry, and stainless appliances. 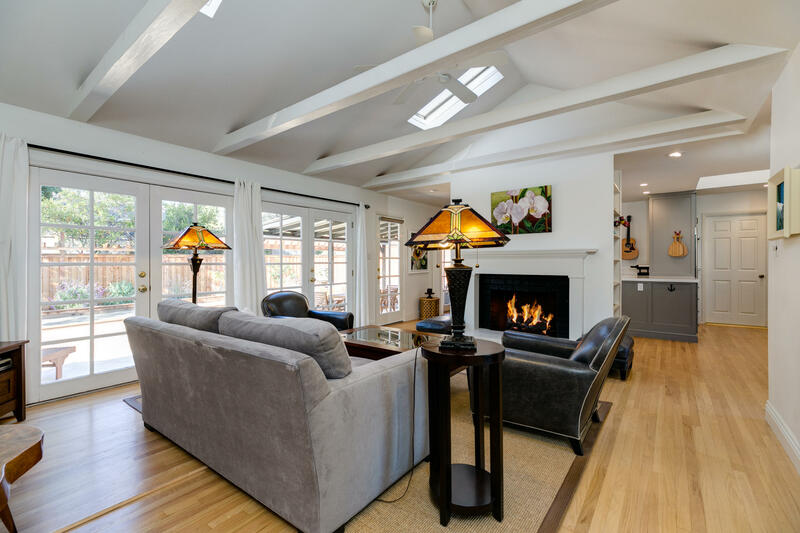 Refinished wood floors flow throughout the house. 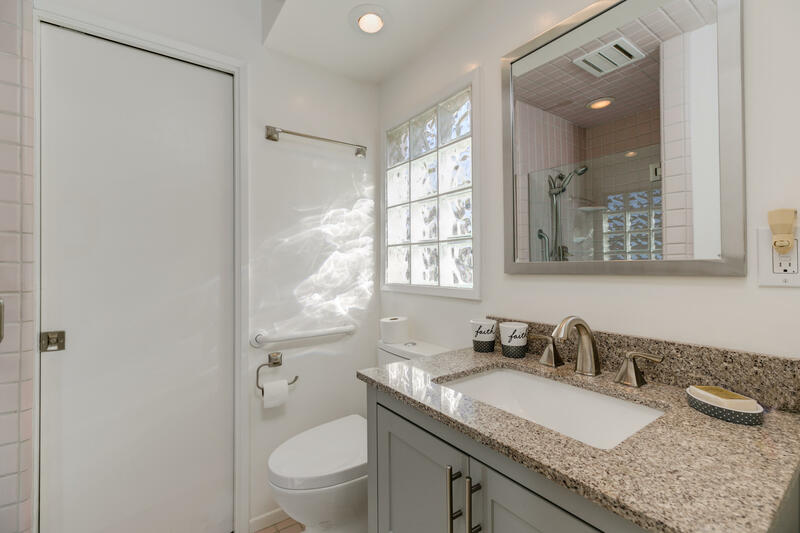 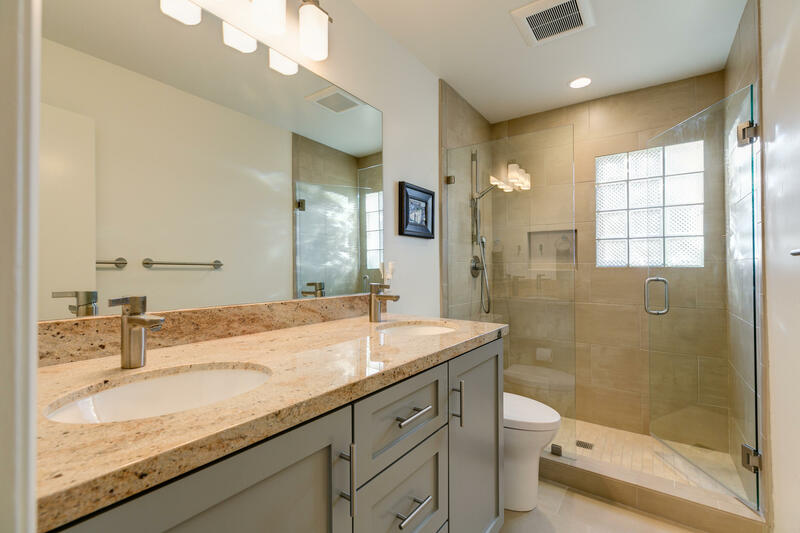 The Master bath was entirely renovated to include tile flooring, a custom vanity, and glass shower enclosure. 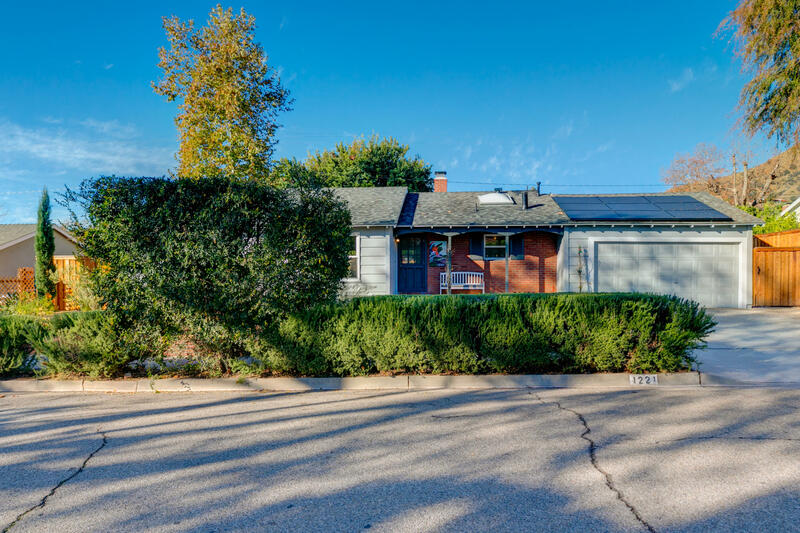 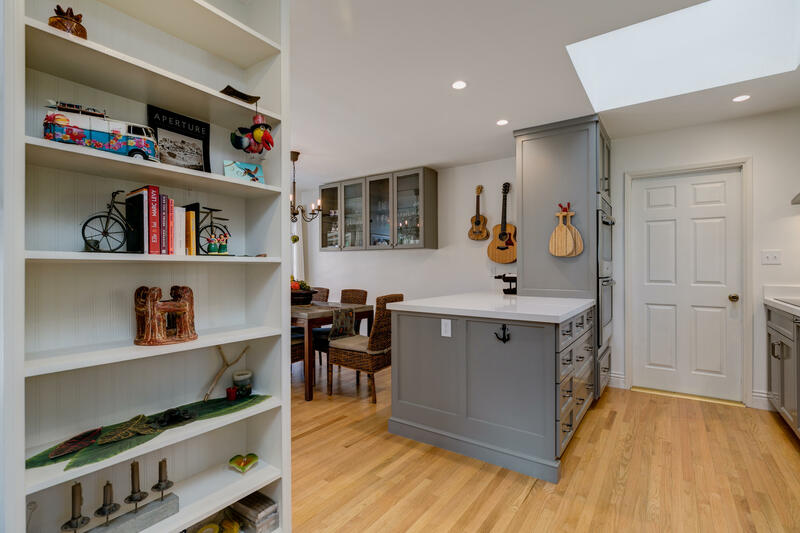 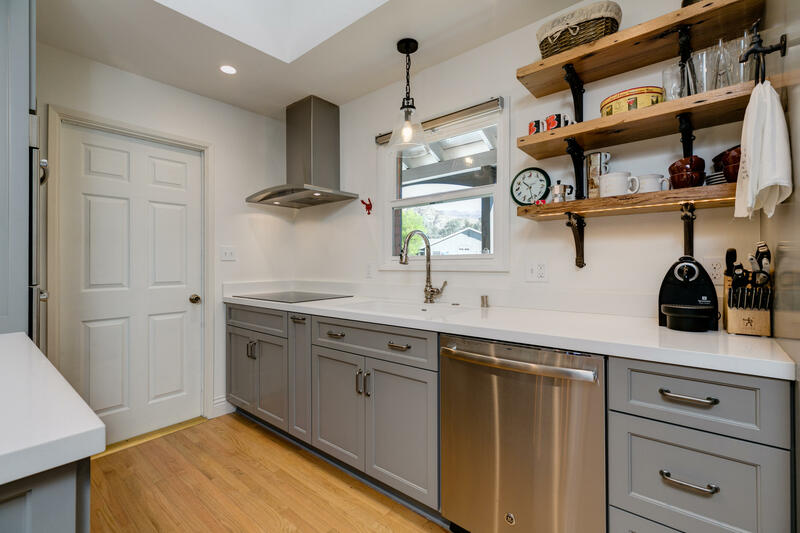 The finished garage boasts ample storage, laundry hook-ups, and a 220-V plug for an electric vehicle. 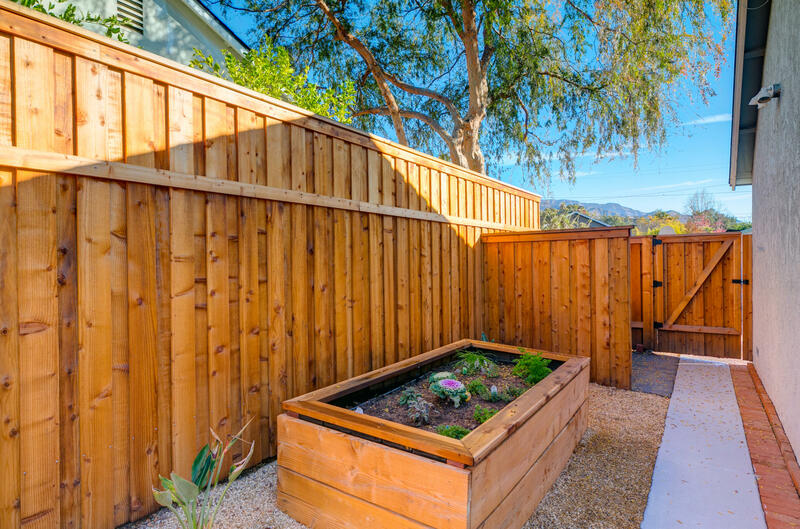 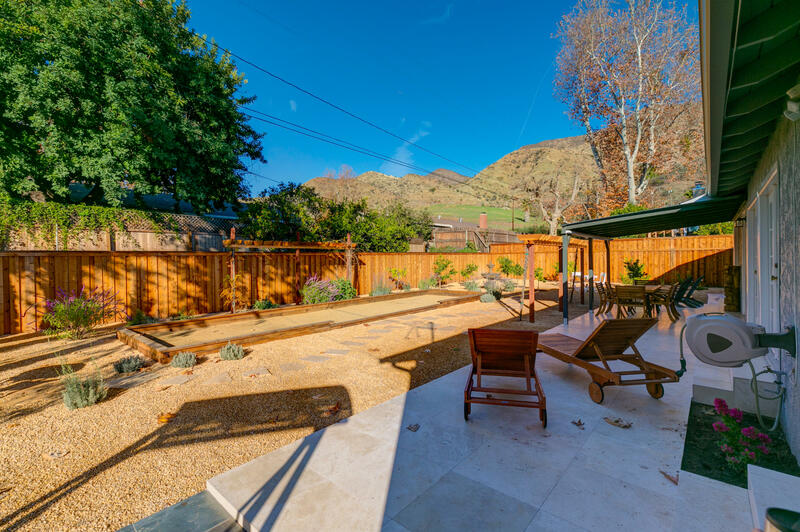 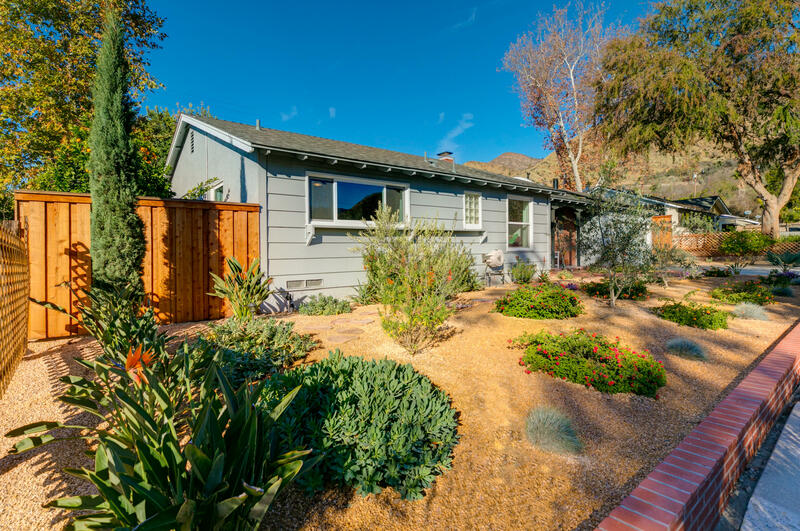 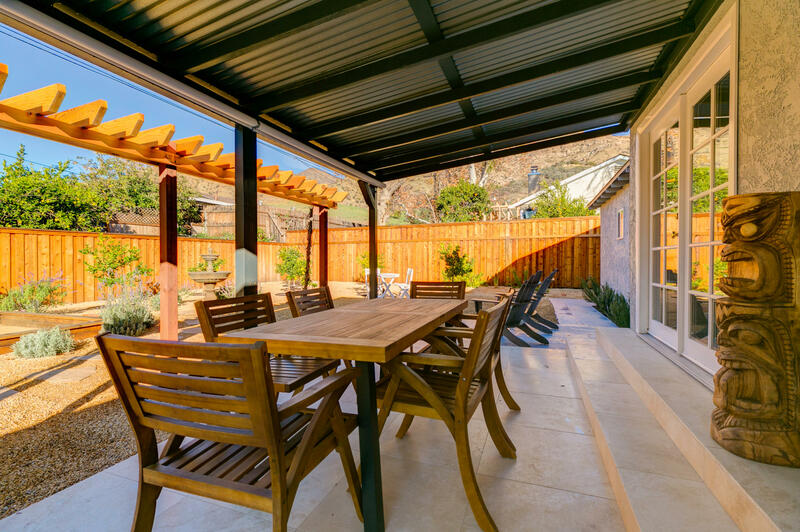 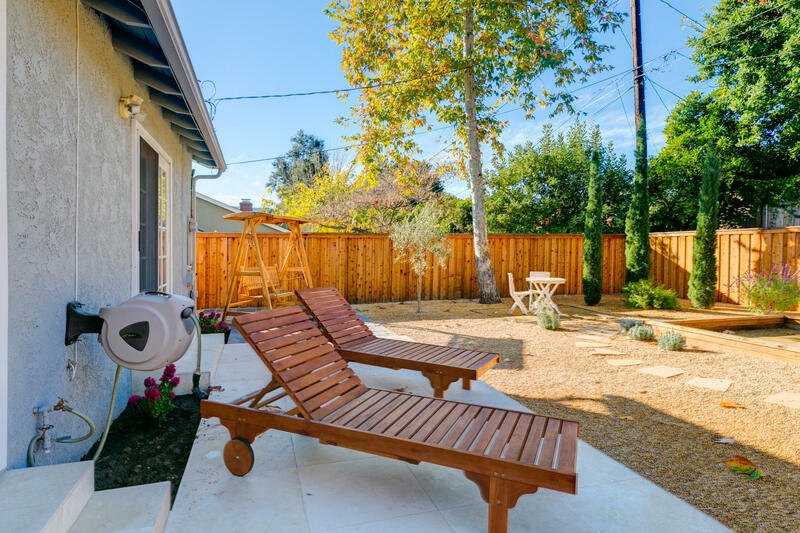 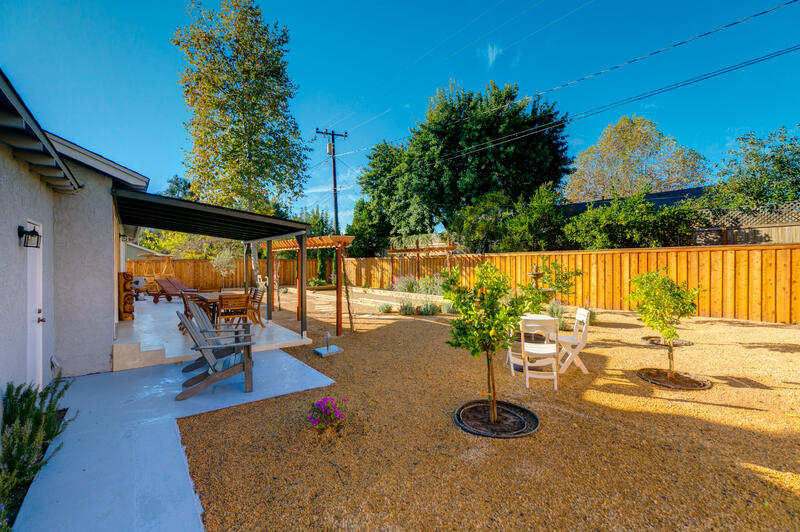 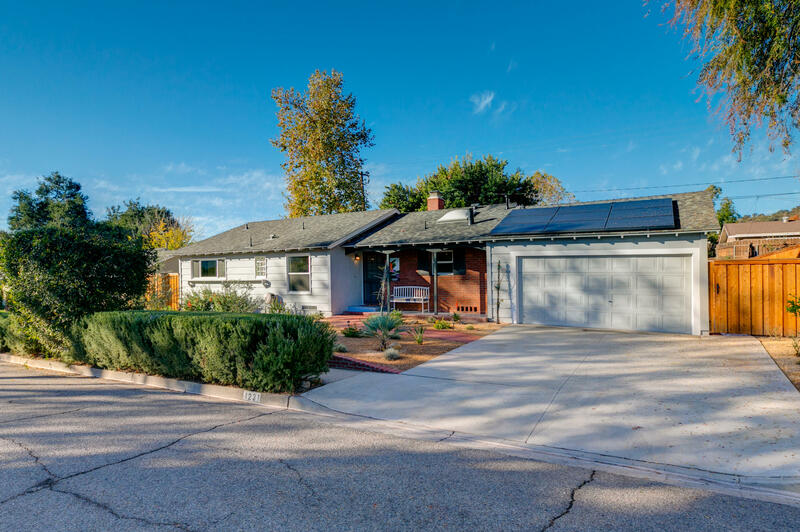 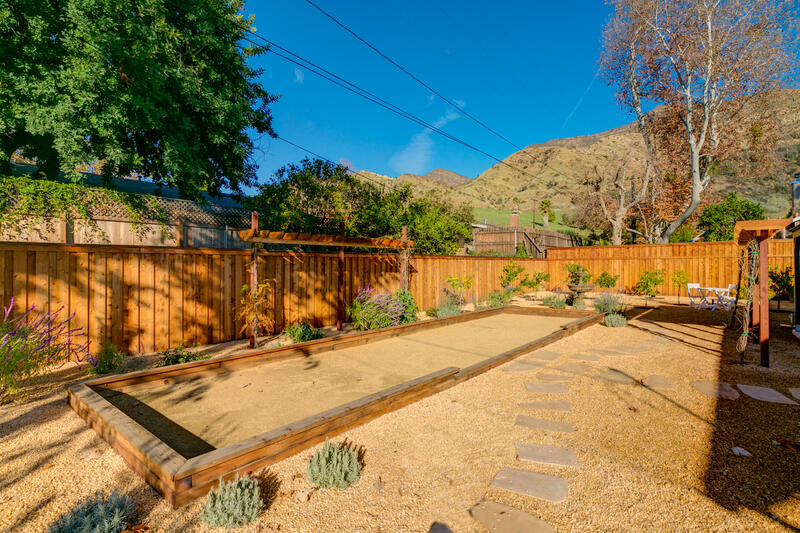 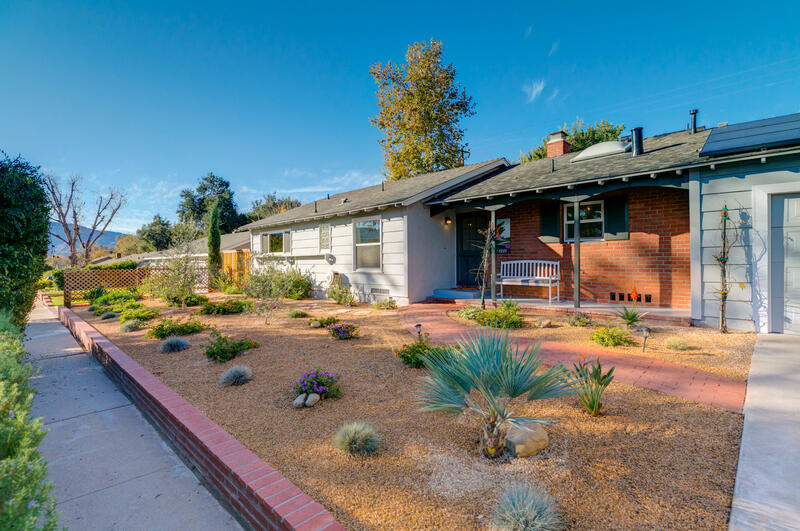 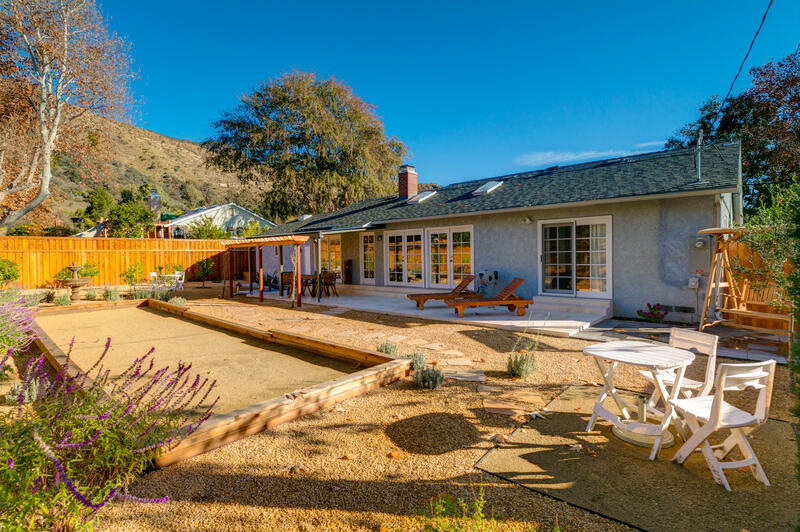 The front yard features drought tolerant landscaping and the Mediterranean-inspired backyard is home to raised garden beds, fruit trees, a water fountain and lawn bowling alley.